There are few memories that manage to stick with us throughout our lives. 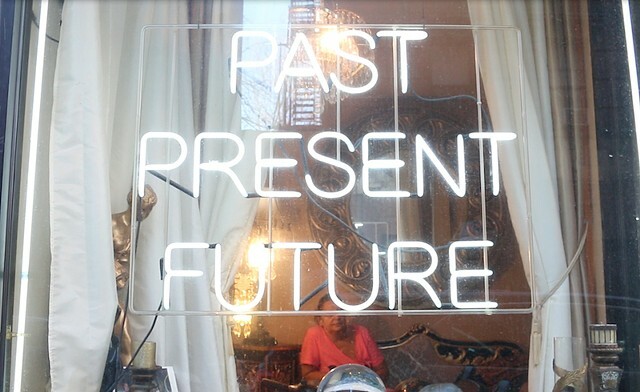 PAST PRESENT FUTURE is a showcase of two such memories, which I have collected through one-on-one interviews. My intention is to breathe new life into the memories of others by stepping out into the world, reliving, recreating, and interpreting memory through the medium of film. In an attempt to realize the memory of the narrator I use video, film, and found footage to create the visual experience of my work. I use the voice of the narrator to both guide and interrupt the rhythm of my films. At times, the sounds and pictures do not necessarily align with one another, but instead result in unique and separate narratives. My influences include Maya Deren, Alan Berliner, Sophie Calle, and David Lynch; artists who have always challenged their medium by using complex imagery to represent simple, yet psychologically rich stories.